Gokshura is an ancient herb, used since thousands of years for its immense medicinal properties. It is ideal for body building and is used as an aphrodisiac to increase libido in men and women. It is also used in the preparation of herbal medications that are used to treat diseases affecting the heart and kidneys. It is a natural cardioprotective agent that helps in the treatment and prevention of cardiac disorders. It helps in managing psychosomatic disorders like hypertension by reducing anxiety. English Names – Puncture vine; Small caltrops; Tribulus; Cow hage. For body building — Gokshura has minerals which help in improving the body composition and muscle strength. For strengthening the Urinary bladder — Gokshura helps in regulating the function of urinary bladder as it has the lithotryptic activity. In PCOS – Intake of Gokshura eliminates excessive water and decreases size of cyst. Helps relieve tension and stress – Gokshura helps regulates the Serotonin levels, which influence the emotional and mental state of a person. 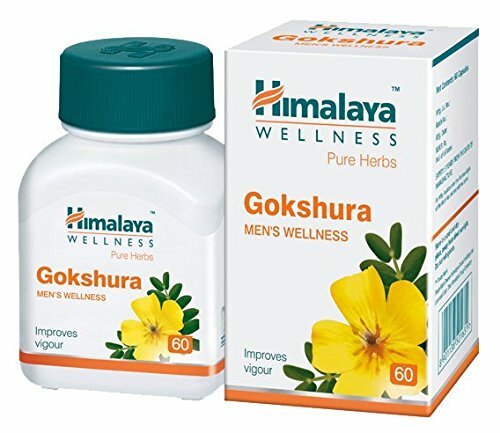 For burning sensation in Urine – Drink Gokshura kashaya (10ml) every morning. For reducing pain during urination – Intake of Gokshura Ksheerapaka at night before going to sleep helps reduce pain during urination. For Rheumatic Pain – Boil equal quantities of Gokshura Powder + dried ginger + water. Make it as a syrup constitution. Take this mixture of 50 ml in the morning empty stomach.